Whether you are moving house or organising your next office relocation, call Hire A Mover the trusted way to move! Our removalists in Adelaide have years of proven experience and many successfully achieved furniture removals. We strive to ensure our customer service is efficient and cost-effective. Part of the Hire A Box group, Hire A Mover grew from our need to provide our customers with a complete service. We pride ourselves in helping Adelaide residents from A to Z. Our Adelaide removalists will move you in a flash and provide cost-effective moving services. We apply an hourly rate system of $120, with a 2 hour minimum charge. You only pay for the time we actually work, no more! Not only can Hire A Mover offer removal services in Adelaide that can save you from stress in moving, Hire A Mover can also help save on moving cost! 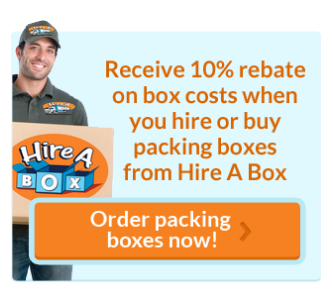 Being part of the Hire A Box group, Hire A Mover has an exclusive promotional offer for our customers interested in purchasing or hiring moving boxes. 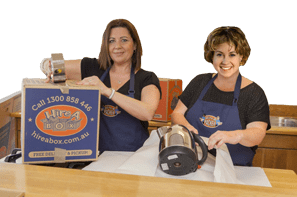 Get them delivered to your door anywhere in Adelaide Metro area and receive a 10% discount on the price you paid. Our team of Adelaide removalists are professional and strive to move your furniture with care. However, unexpected circumstances can lead to the damage of your goods. That is why we recommend you to subscribe for a removals insurance such as our partner Removals Insurance Australia. Call 1300 358 700 – Monday to Friday from 8.30am to 5pm EST – for a free moving quote. Our customer reps will answer any question you have. Receive your removal quote within 30 minutes! Do you have an additional pick up or delivery location? How many sets of stairs does either property have? Do you have a garage full of items to be moved? Receive your quote within 30 minutes! Any large furniture including boardroom tables to be moved? IT equipment? Does the move need to be done outside hours?